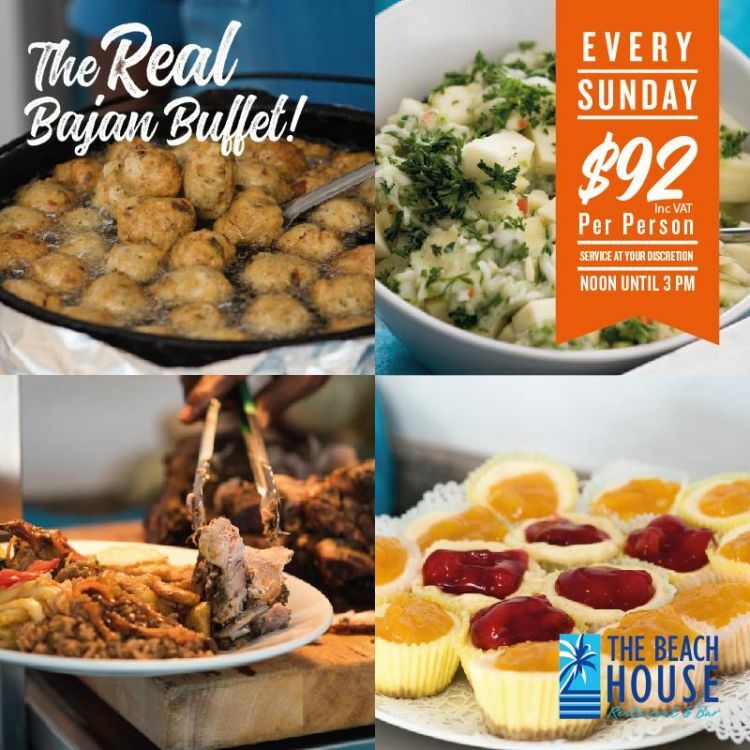 The Beach House presents an all-you-can-eat traditional Sunday Caribbean Buffet Bonanza. 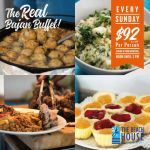 The menu changes each week and includes fresh salads and vegetables and your choice of meats, catch of the day, fresh fried fishcakes and a visit to our Carving Station. A range of desserts to suit any palate finish your meal in style. Adults Bds $98 per head including VAT. Children under 12 y.o. half price. A 10% discretionary service charge and 2.5% Tourism Product Development Surcharge will be added to your bill.